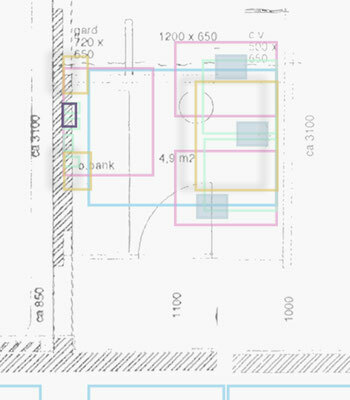 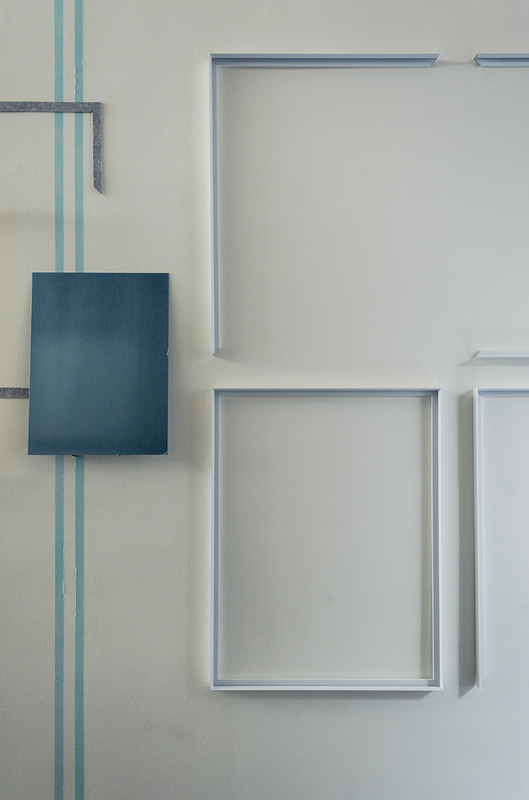 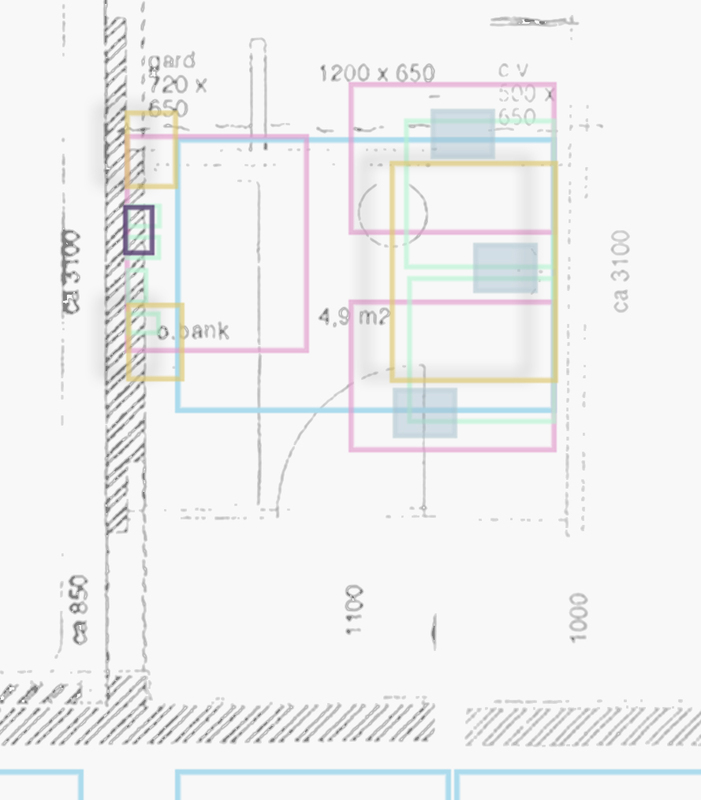 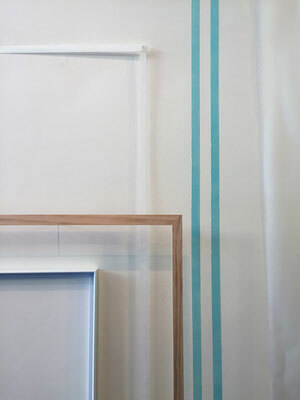 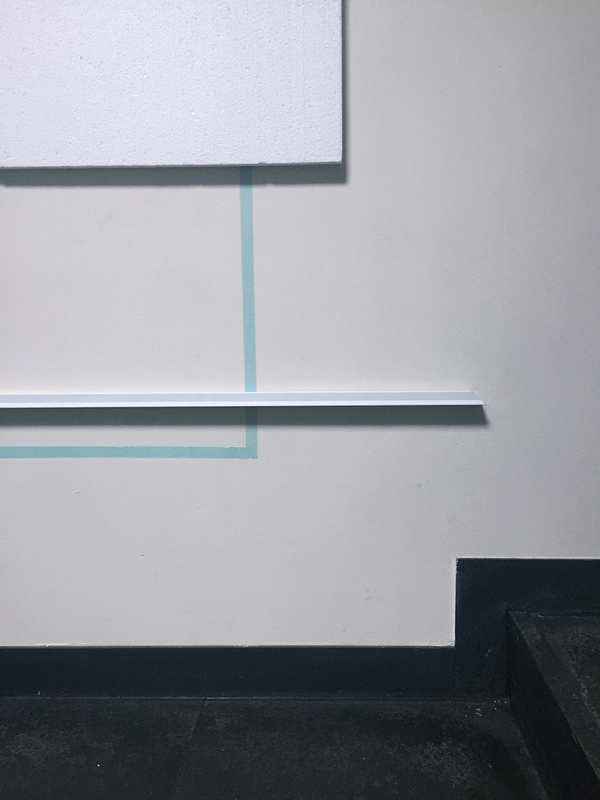 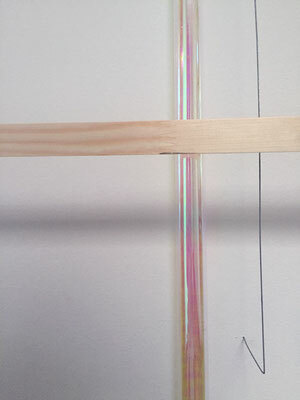 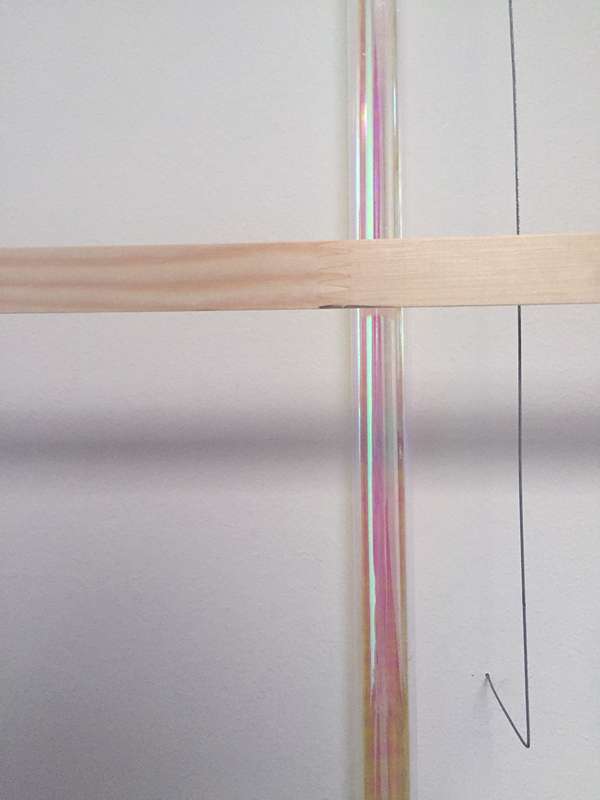 RELATIVELY DELINEATING uses a semi-statistical method to build an installation based on documentation of previous exhibitions at this location. 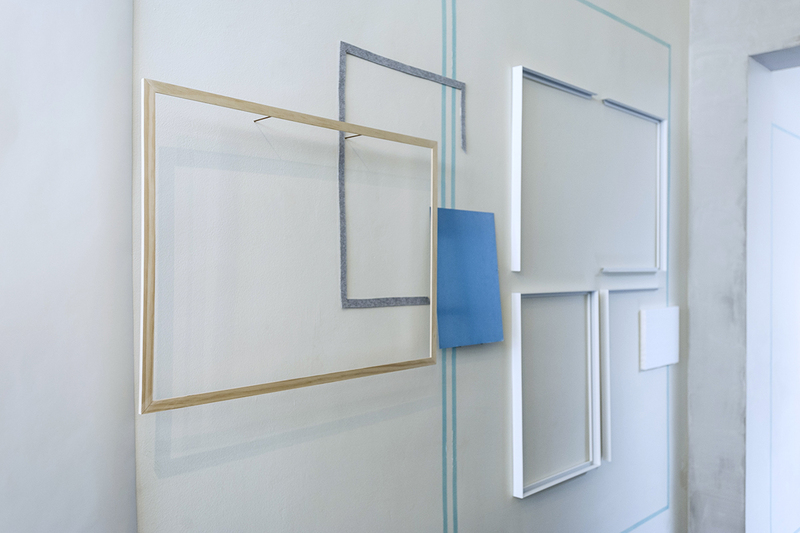 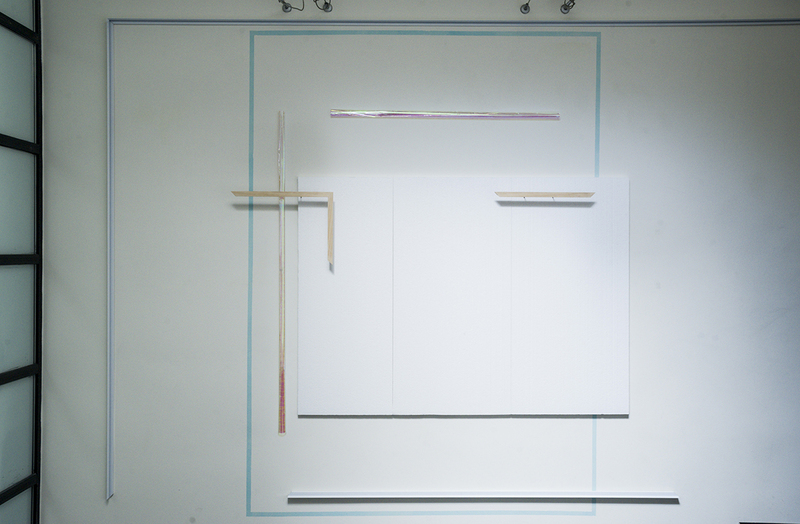 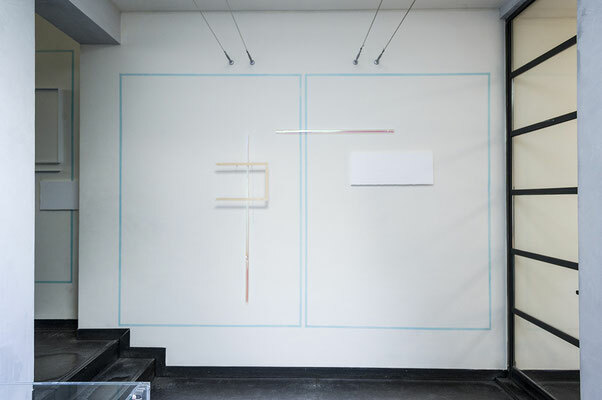 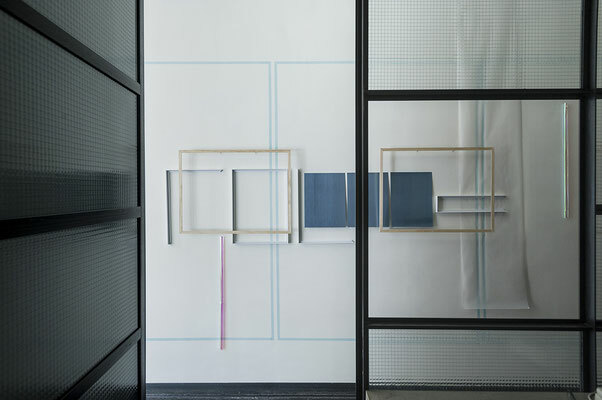 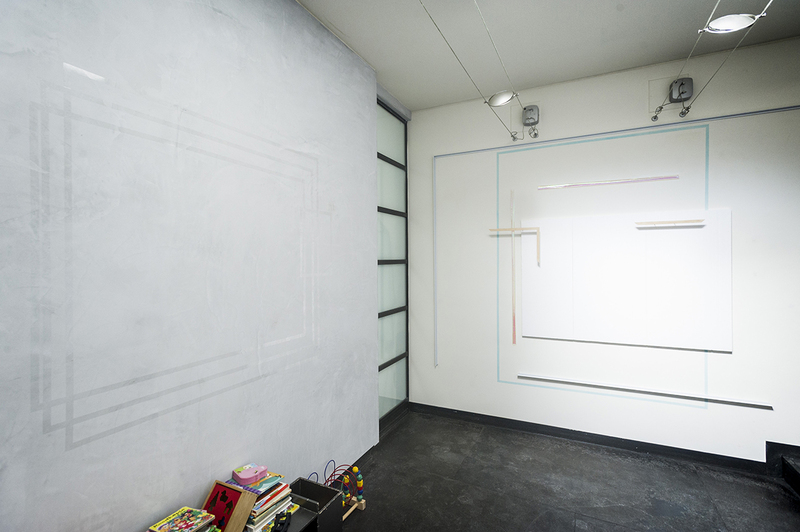 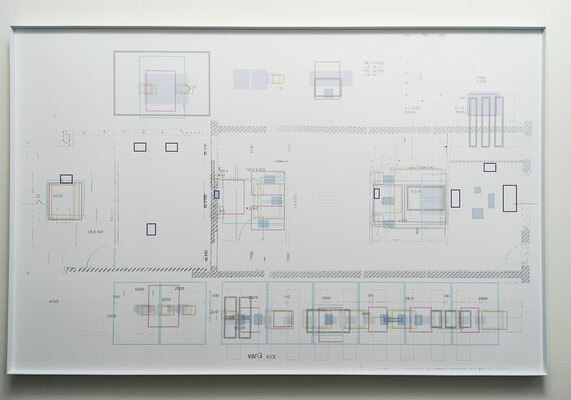 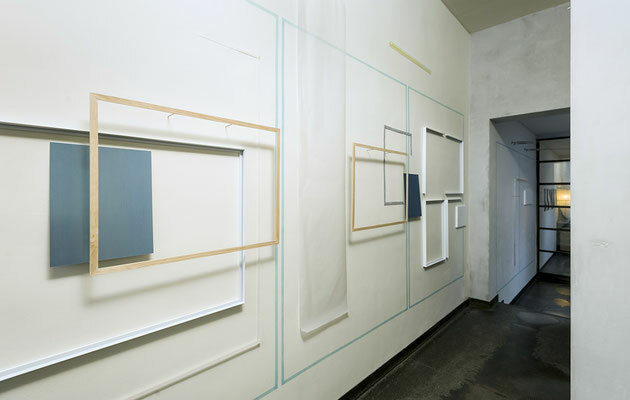 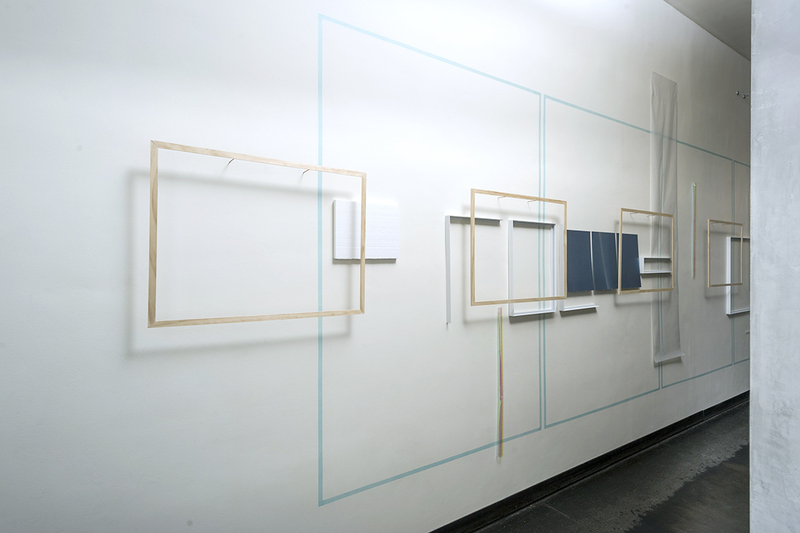 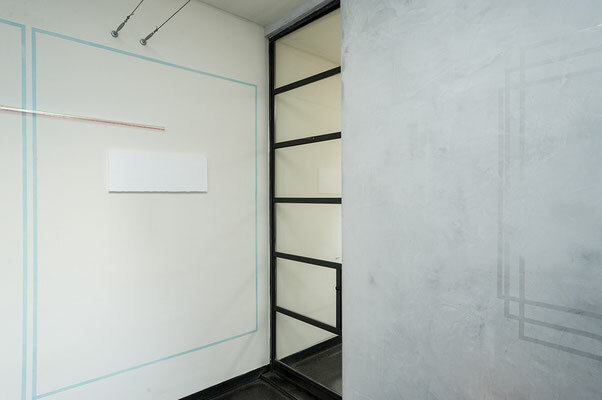 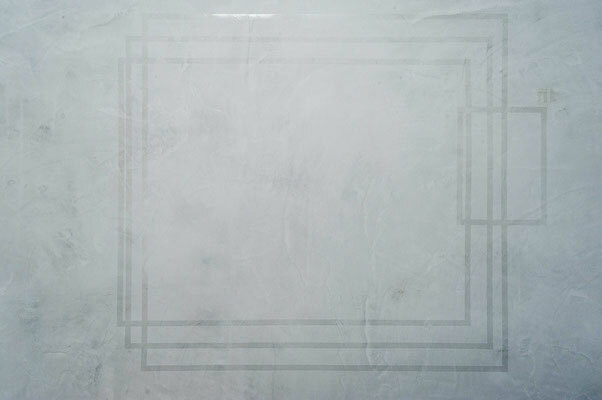 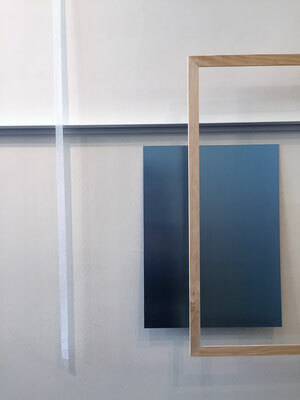 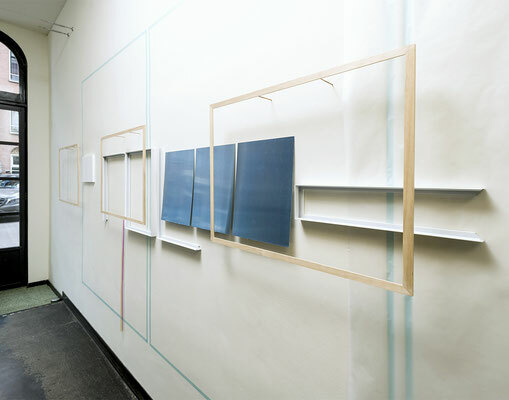 With markings and empty frames, a spatial graph shows the rhythm in which previous artists had installed their work in this exhibition space. 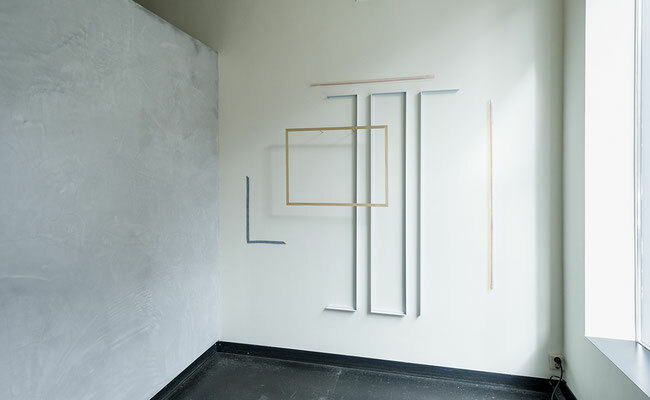 Their choices guided the selection of possibilities in arranging the space. 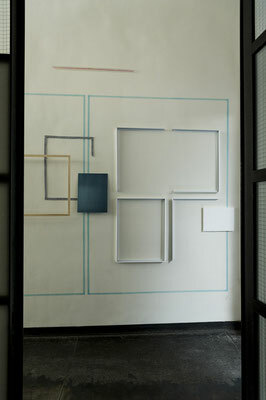 For the viewer, the installation created the opportunity to simultaneously see multiple moments of time in that space.